This is the first Swedish edition of The Dark Wind. It was published by Bokförlaget Legenda AB in Stockholm, Sweden in 1991. This version was translated from English to Swedish by Karl G. and Lilian Fredriksson. 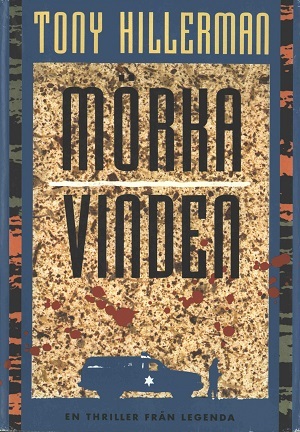 The cover was designed by John Eyre and has an outline of a policeman and a police vehicle within a sandy textured box that contains the title. It is interesting to note that the star on the side of the vehicle has six points rather than five. Format: Hardback, 23.3 x 16.2 cm. Binding: Light tan boards with the author and the title printed in black on the spine.